At IAC Supply Solutions, our only goal is your success. To accomplish this, we don’t just supply products. We also supply solutions, including the latest information about important industry trends. With this in mind, we believe it is very important for you to understand an innovative lead generation platform from Google called Local Services ads. This program is changing the way contractors like electricians, HVAC techs and plumbers do business – and we want you to make the most of it. Originally known as “Home Service Ads,” Google Local Services ads began testing as a pay-per-lead advertising platform in a limited number of American cities in 2015. By the end of 2017, the program had reached 30 major US markets and has since expanded even more. Advertising with Google Local Services ads requires your business to earn “Google Guaranteed” certification. To gain this title, businesses are required to participate in Google’s screening process, which consists of license and insurance verification as well as employee background checks. Any work performed by a contractor with the Google Guaranteed certification actually carries a satisfaction guarantee backed by Google itself. If for any reason a client is not satisfied with the quality or workmanship of a Google Guaranteed job, Google will cover claims up to the invoice amount. This guarantee of quality makes Google Local Services ads very attractive to your potential customers when they are searching for a service contractor. Ratings will be shown in the typical five-star format at the top of your listing, and are obtained either from your reviews on Google My Business or the Google Local Services ad platform. Positive ratings and reviews automatically give your business the upper hand because they ultimately determine how Local Services ads are ranked. The Google Local Services ad platform greatly improves the authenticity of reviews because Google is the one directing the obtained lead. If a review from a converted lead checks out, the review will appear as a “Google Verified Job” on your listing. The more positive reviews your business receives, the more your ratings will be boosted. As a result, businesses that maintain a high relative review rating in their local markets are the ones that will benefit the most from this program. 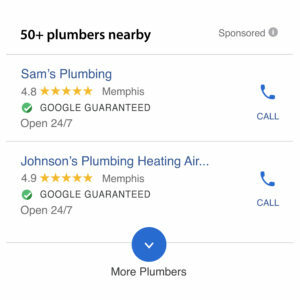 When local consumers use Google to search the internet for services (“electrician in Memphis,” for example), any keywords relevant to Google Local Services ads (in this case “electricians” and “Memphis”) will cause information describing several local contractors (in this example, they would all be electricians) to appear at the top of the search results. Company information, along with a green “Google Guaranteed” check mark, will help these ads to stand out and assure any potential customer that your company is qualified for the job. 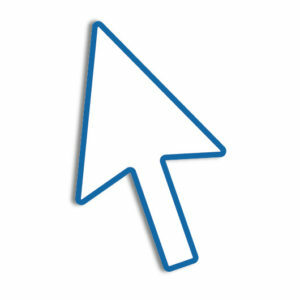 Google Local Services ads are potentially a cost-effective and convenient way of promoting your business. Just set a weekly budget and get charged on a per lead basis! The usual lead cost changes depending on your category and market, but usually falls somewhere in the $10 to $30 range. You can also pause your Google Local Services ad at any time. Pausing your ad will place it directly under the active Google Guaranteed ads, making it similar to a traditional Google ad. Should you sign up for Google Local Services ads? Yes, and we may be able to help. Contact your IAC representative today.